Benson was called to the Bar in the UK in 2005 (Lincoln’s Inn) and in Hong Kong in 2007. He practises in all areas of criminal law both at trial and appellate levels, with an emphasis on white collar and organised crime (often with a cross-border or international element). He is ranked by various legal directories including in Chambers & Partners for White Collar Crime, in Who’s Who Legal for Business Crime Defence and in Expert Guides for White Collar Crime. 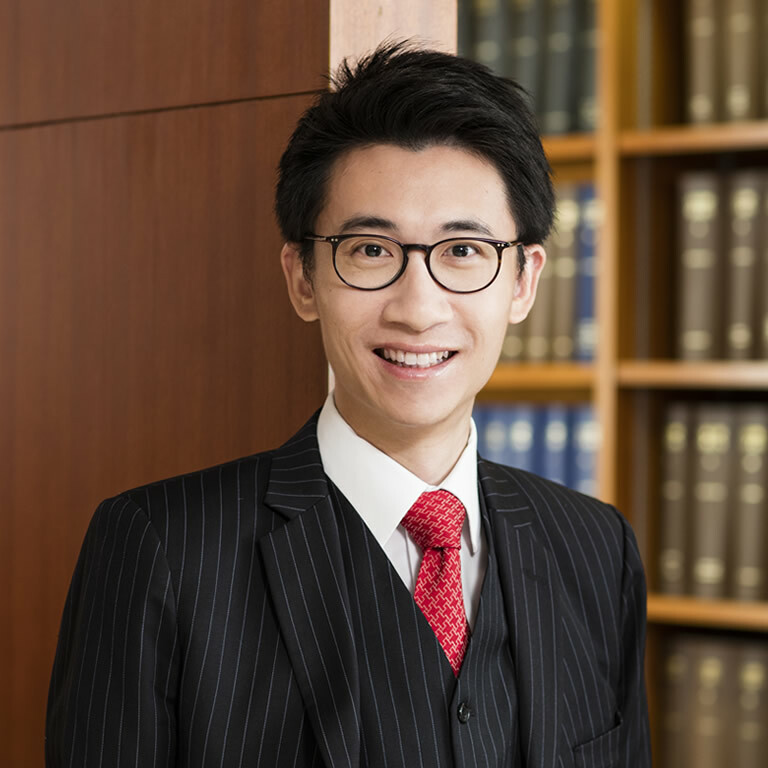 He is a contributing editor of Archbold Hong Kong and an advocacy trainer for the HK Bar Association. He was also a part-time lecturer at the University of Hong Kong on criminal procedure and was a member of the HK Bar’s Criminal Law & Procedure Committee. for a solicitor charged with conspiracy to pervert the course of public justice (led by Clare Montgomery QC and Graham Harris SC). for a barrister charged with attempting to pervert the course of public justice (led by Clare Montgomery QC and Graham Harris SC). for a defendant charged with corruption and misconduct in public office offences involving the former Chief Secretary of Hong Kong (led by Clare Montgomery QC and Gary Plowman SC). Acted for three of five defendants in a three months jury trial involving import and export bank trade loan frauds. for a defendant charged with 17 counts of money laundering involving a multimillion derivative warrants trading scheme in Hong Kong and the Mainland (led by Michael Blanchflower SC and Graham Harris SC). for a former company director charged with various conspiracies involving false company transactions in Hong Kong and the Mainland (led by Michael Blanchflower SC and Peter Duncan SC). for a defendant charged with money laundering (led by Graham Harris SC). for a chairman of a listed company charged with conspiracy to offer advantages (bribery and corruption), conspiracy to commit false accounting, conspiracy to defraud, conspiracy to steal and substantive theft (led by Alun Jones QC and Graham Harris SC). for a defendant charged with insider dealing offence involving listed company acquisitions (led by Michael Blanchflower SC). for a defendant on appeal charged with assault by joint enterprise (led by Tim Owen QC, Clive Grossman SC). for a defendant on appeal charged with assault occasioning actual bodily harm (led by Charlotte Draycott SC). for a defendant on appeal charged with indecent assault and criminal intimidation against various individuals (led by Michael Blanchflower SC). for a respondent on sentence review by Secretary for Justice for possession of firearms (led by Graham Harris SC). Acted for a defendant in a case of physical duress which resulted in a deed of gift to be executed without proper consent. Acted for a Post Office employee charged with misconduct in public offence for improper dealings with Post Office stationery. for the applicant who was a domestic helper seeking the right of abode in Hong Kong (led by Michael Fordham QC, Gladys Li SC and P.Y. Lo). for the applicant in judicial review against the Board’s refusal to provide an indication of punitive period of the applicant’s life sentence. (led by Edward Fitzgerald QC). for the Defence in proceedings held in the People’s Republic of China on commission to obtain evidence for a criminal trial (led by Charlotte Draycott SC). in a Defence application for a Letter of Request to take evidence on commission in Auckland New Zealand (led by Edward Fitzgerald QC and Clive Grossman SC). for the Defence in proceedings held in Los Angeles (USA) on commission to obtain evidence for a criminal trial (led by Graham Harris SC). in a Defence application for a Letter of Request to take evidence on commission in the Mainland (led by Graham Harris SC). for a respondent in mutual legal assistance restraint proceedings involving request from a foreign state to impose restraint order on local assets (led by Michael Blanchflower SC). in an application to discharge a Restraint and Charging Order relating to proceeds of crime based on criminal proceedings in the Mainland (led by Michael Blanchflower SC). for a defendant in confiscation proceedings involving assets totalling over HK$100million located in different jurisdictions (led by Michael Blanchflower SC). for a defendant in an application to impose reporting restrictions on related appeal proceedings (led by Edward Fitzgerald QC and Clive Grossman SC). for construction company employees charged with authorising building works that caused injury to others. The case involved ground subsidence that occurred on Li Yuen Street East in Central (led by the late Alexander King SC). Acted for a director of a private company charged with failing to keep proper books of accounts.